The Salvation Army in Palu focuses on mental health care and trauma counselling as its disaster response continues and expands three weeks after the devastating earthquake and tsunami. 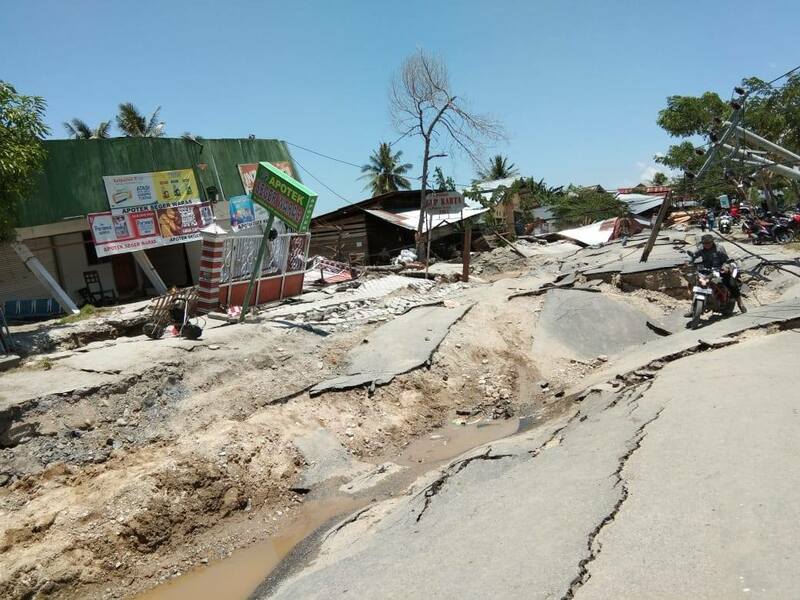 Three weeks on from the devastating earthquakes, liquefaction and aftershocks that struck Indonesia’s Central Sulawesi region, The Salvation Army’s disaster response continues. 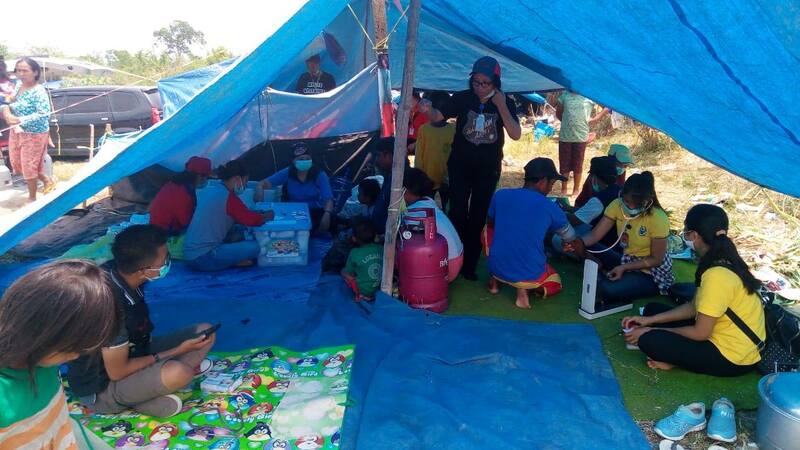 With a strong presence in the badly hit city of Palu, local Salvation Army teams were able to react immediately, in spite of incurring personal loss. Provision of basic food, water and shelter is being enhanced by the delivery of healthcare services for those physically hurt during the quakes and for individuals presenting with mental health challenges brought on by the terrifying events of late September. Salvation Army medical teams are treating hundreds of people. To address issues such as mental health and wellbeing, The Salvation Army is working closely with a local university. To date, trauma healing sessions have been implemented in 15 separate locations. These have been attended by more than 1200 people so far. To meet demand, The Salvation Army’s Indonesia Territory is training a further 20 officers in trauma counselling, and these reinforcements will be sent to Central Sulawesi to support the team already on the ground. Local radio has also played an important role in keeping communities informed. 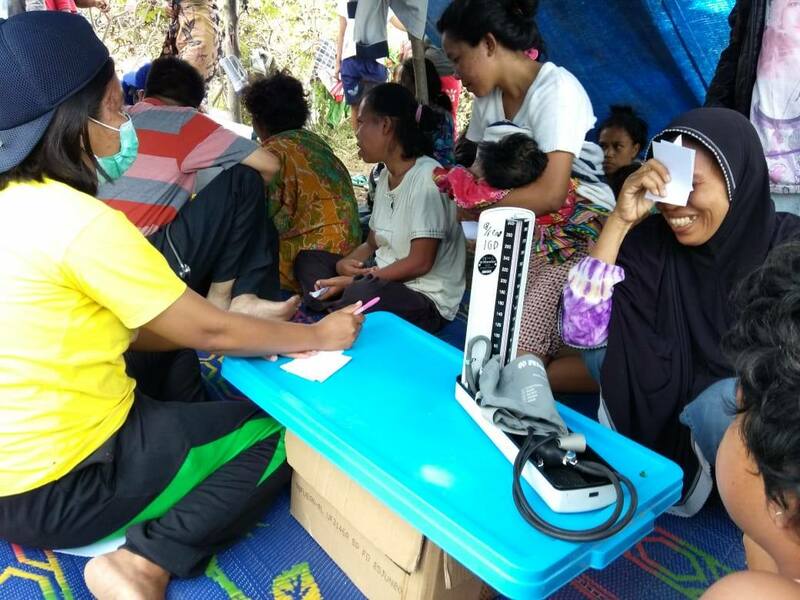 The Salvation Army-run Cakrawala Radio broadcasts to many remote settlements in Sulawesi and has been sharing accurate news and information about the disaster response. This is especially important in some of the villages that are still not yet fully accessible. Australian officer Commissioner Peter Walker, Territorial Commander in Indonesia, returned early from booked holiday in order to share words of encouragement on the radio station, to bring words of comfort to community members who have been so badly affected by the disaster and to encourage Salvation Army team members. Conditions are still challenging for Salvation Army teams. The Indonesia team has now been bolstered in Palu by International Emergency Services Deputy Coordinator Damaris Frick and Australian Project Officer, Major Drew Ruthven. Both are liaising regularly with Indonesian government disaster response officials, and participating in regular “hub” meetings that coordinate the activities of the aid agencies and other non-governmental organisations that are involved in the large-scale response to the disaster. Damage is extensive throughout Central Sulawesi. With the confirmed death toll standing at 2113, at least another 1309 people have been unaccounted for. Nearly a quarter of a million people have been displaced from their homes, with many still living in temporary displacement camps. Search and rescue operations have now ended, but the emergency response phase has been extended. The Salvation Army has served more than 12,300 hot meals, as well as providing emergency food parcels, drinking water and tarpaulins. The Salvation Army’s Woodward Hospital treated 789 patients on-site in the two weeks following the initial earthquake, despite having to evacuate the premises twice. The structural damage has now been repaired. Because road infrastructure damage adversely affected access to hospital facilities, Salvation Army medics took mobile clinics to 12 locations and provided 27 surgeries. These ensured that a further 950 individuals received professional healthcare services.